Are you feeling overcommitted, overextended and overwhelmed? Having trouble balancing your professional life with the demands of family and friends? It’s natural to have times when the answers to life’s dilemmas seem unclear. But you don’t have to live a life of uncertainty, frustration and confusion any more. 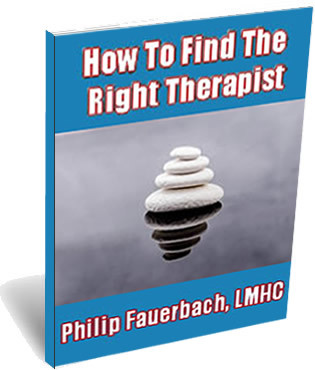 Therapy can help you feel more balanced, focused and satisfied with your life. With sensitivity and compassion, I can help you bring resolution to a wide range of life challenges and relationship issues. Therapy is a partnership. Together, let’s develop a plan that will build on your existing strengths and help you achieve the goals that will lead to a happy, fulfilling life. Ready to get started on a new chapter in your life? Contact me today. Thank you for helping me, but more importantly thank you for helping my son. He is again the confident young man he was before. You saved my life. I thought only soldiers had PTSD. I never thought it was affecting me so badly. I will always be grateful. I thought I was crazy. Every relationship started out so good, and ended so bad. Our work helped me understand I was just repeating the same dysfunctional patterns just with different women. … Thank you, I learned to break the pattern. I don’t think I would have made it through if it weren’t for you. Words don’t describe how dark those times were for me. I’m so grateful you were there for me.